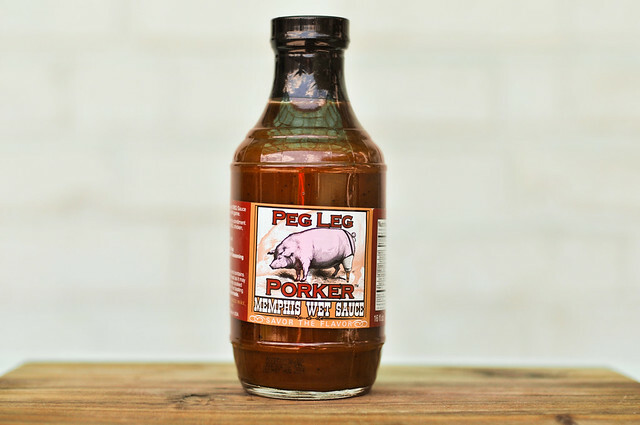 In the Memphis tradition, Peg Leg Porker Memphis Wet Sauce is strongly weighted toward tomato and vinegar, but it releases some unexpected sweet potential when used on the grill. Growing up in West Tennessee, and with familial roots in Memphis, it was inevitable that Carey Bringle would pave a path to becoming a pitmaster. At a young age, his Uncle Bruce taught him the art of smoking meats. Then, at age 17, Carey faced a battle against bone cancer that he ultimately won, but lost his leg in the process. His outlook on life changed after that, and his positive attitude and taste for good food brought him into the barbecue competition world. While he's worked with a number of winning teams, he currently helms the aptly named "Peg Leg Porkers." 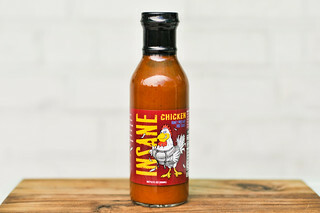 Beyond competition, Carey sells a couple sauces and a rub under the Peg Leg brand and is active in charitable causes in the Nashville area. A concentrated tomato smell is the heaviest hitter in the aroma department. This is cut with a strong mustard component, and more slight vinegar tang. There's isn't much sweetness to speak of, but a fair amount of spice hints a nice heat. 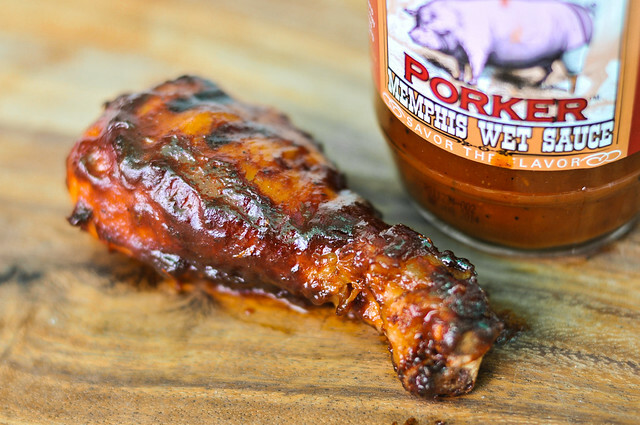 Like many Memphis sauces, this one weighs in right in the middle of the thickness scale. It flows quickly and in a steady stream off of suspended spoon, but also leaves a fair amount of sauce clinging. It has a burnt orange hue, has a fair amount of visible spices, and a smoothness that's broken up by a few chunky bits here and there. 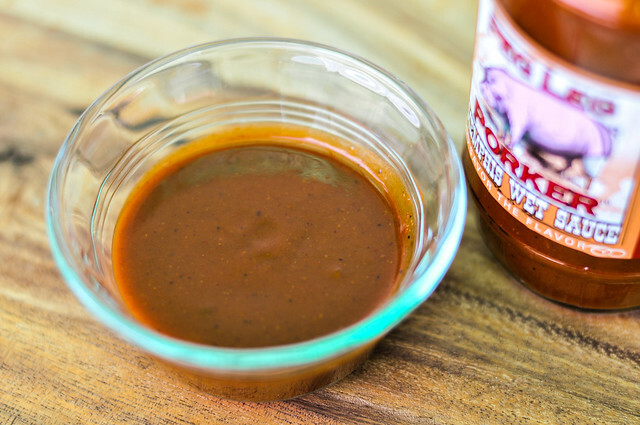 Following the Memphis tradition, this sauce features vinegar up and front. What was only faint in smell is in full force in flavor as a strong tanginess dominates from start to finish. There is little sweetness to speak of here, which lets the tomato and mustard play heavily, along with the spices that give the sauce some texture and leave a peppery heat on the tongue in the end. This sauce coated and baked into the chicken well. Then over direct heat there was some light caramelization, but no real burning. The flavor overall surprisingly tipped more into the sweet category, with tomato and molasses mixing well to give a deep sweet, but not sugary flavor. A nice tanginess remained, along with a little heat. Combined altogether, the sauce was bold, but not so much that masked the natural flavor of the chicken. 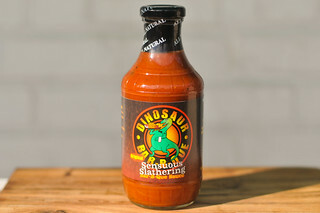 While the bottle recommends the sauce be used as a condiment in the Memphis way, I actually liked it best after being cooked. Out of the jar it tipped a little too heavy in the vinegar corner for my personal tastes, but after being taken to the flames, that tanginess found companionship with a strong sweetness. 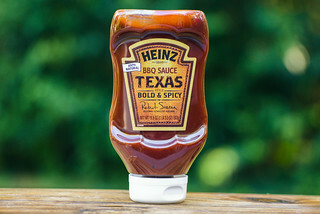 Out of jar this would work great for pulled pork or burgers, but I think it actually has more potential on the grill with chicken, ribs, seafood, and so much more. I'll have to give Peg Leg's a try, I like my sauces a little vinegary.